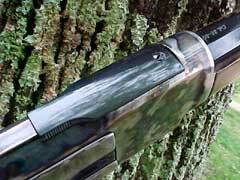 There aren’t many levergunners who do not love the ‘73 Winchester. It has been dubbed "The Gun That Won The West", and was even the star in its own movie, where it was supported by James Stewart and other fine old western actors. 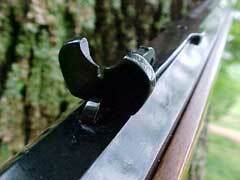 The ‘73 is one of the slickest-working actions ever conceived for a center fire cartridge. The action of the Winchester 1873 is basically the same toggle link action as the previous Winchester 1866 and the Henry before that, but modified to fire the center fire Winchester cartridges. 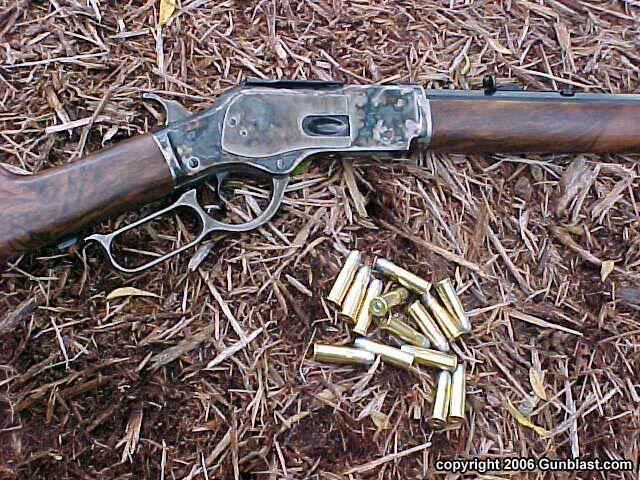 The workings of this type of action, while not as strong as later actions such as the 1892, is very fast and slick, making the ‘73 one of the most preferred of Cowboy Action Shooters, who appreciate its speed and smoothness. 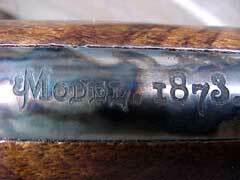 I recently reviewed the Model 1876 rifle from Chaparral Arms, and was pleased with its finish and workmanship. While there are several replica 1873 rifles on the market, I was anxious to also try the Chaparral 1873, which has just started shipping a couple of weeks ago. 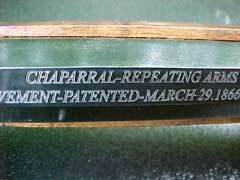 Upon opening the soft gun case, I was immediately impressed, again, with the beauty of the Chaparral rifles. 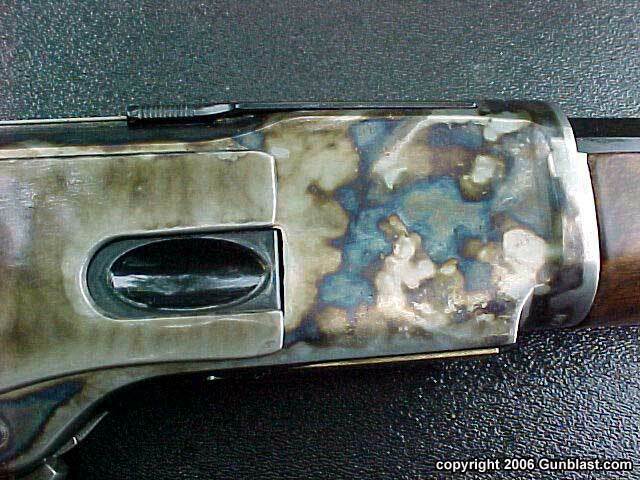 The casehardened receiver, lever, side plates, forend cap, and buttplate display vivid case colors, and the blued steel barrel, magazine tube, dust cover, and other small parts have a smooth, rich, deep blue/black finish. The cartridge lifter is of course brass, like the originals. The sample rifle sent to me is chambered for the .38-40 (.38 WCF) cartridge, as are all of the first ones being produced. 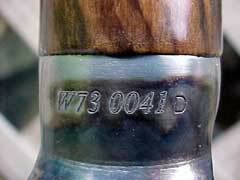 These guns are assembled in Connecticut, and therefore bear no foreign proof marks, although the parts are made in Italy. The sample rifle wears a tapered octagon twenty-six inch barrel, which tapers from .860 inch at the front of the receiver to .740 at the muzzle, and its full-length magazine tube holds fifteen of the .38-40 cartridges, plus one in the chamber, for a total capacity of sixteen. 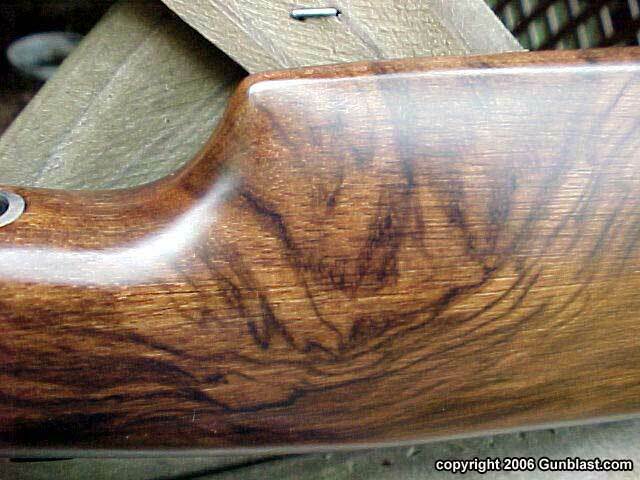 The wood on the 1873 rifle, like that of the 1876 previously reviewed, has a fancy, highly figured pattern applied over a plainer grade of hardwood. It makes the rifle to appear to be wearing very high-grade walnut, but without the price. The buttstock is finished with a crescent steel buttplate, which has a sliding trapdoor compartment for a cleaning rod. or other such device which might fit, be it extra ammo, folding money, or the deed to your miner’s claim. 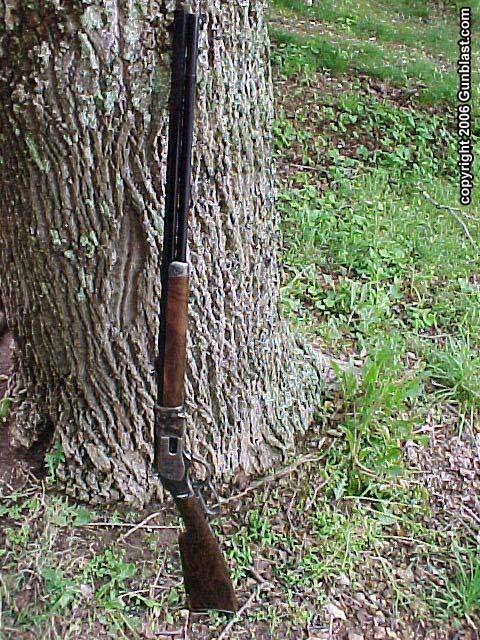 The sample rifle weighed in at eight pounds and three ounces, and balanced just forward of the receiver, making it very comfortable to carry in one hand. Shooting the Chaparral ‘73 proved to be a delight. 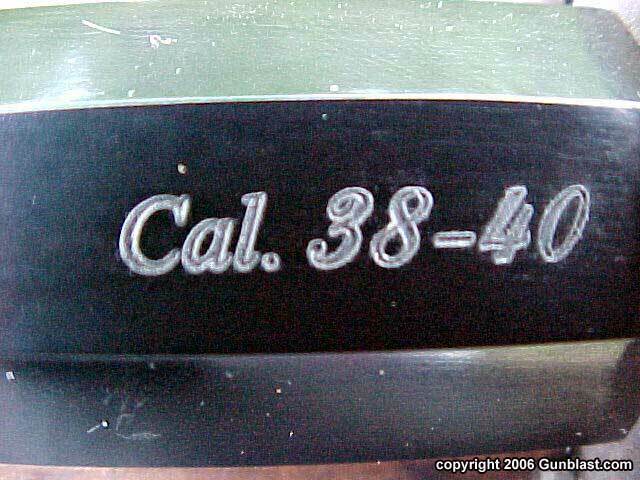 Having no .38-40 ammo readily available here, I had to look no farther than Starline Brass for high-quality, properly head-stamped cartridge cases. Starline produces some of the finest brass available on the planet, and they especially cater to the needs of shooters who like the old calibers which have been forgotten by other manufacturers, along with many very modern calibers as well. 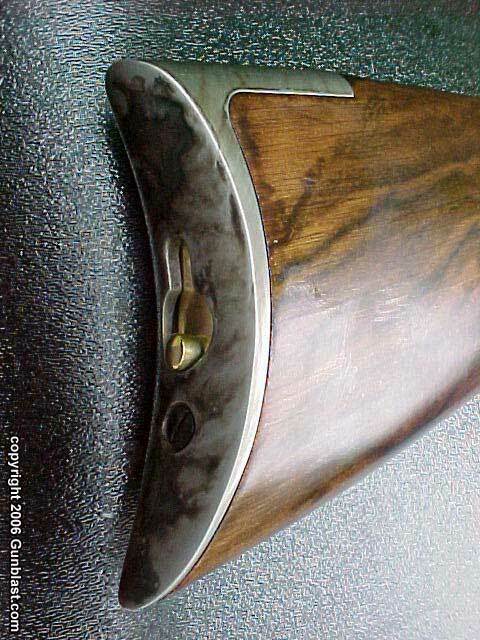 Loading the Starline brass was as simple as loading for any bottlenecked cartridge. I just gave the cases a shot of lube, and ran them through the Dillon 550B press. 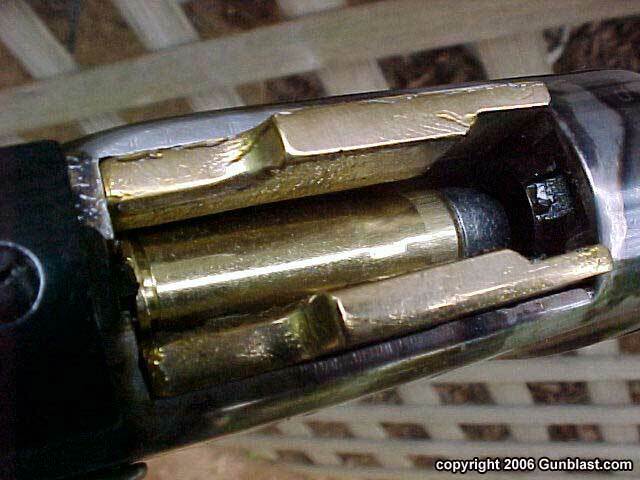 By the way, the casefeeder and shell plate that I had set up for .45 Colt worked perfectly with the .38-40 cases, feeding automatically into the Dillon press. 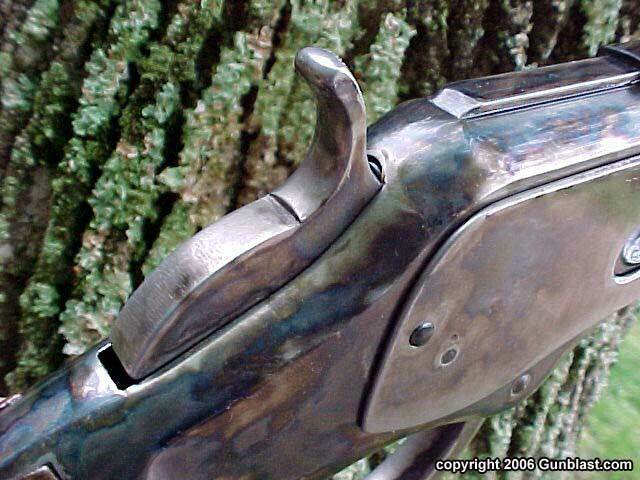 My favorite load tested in the 1873 used six grains of IMR Trail Boss powder with a 180 grain lead bullet. This proved to be a very accurate load, chronographing 1049 feet-per-second, and with an amazing consistency of a 1.5 average deviation! From the Chaparral, this produces one-hole clusters at twenty-five yards using the buckhorn sights. Trail Boss powder continually impresses me with its accuracy and consistency. It is like no other powder that I have ever tried, and is perfect for such mild to medium loads used in Cowboy Action Shooting. 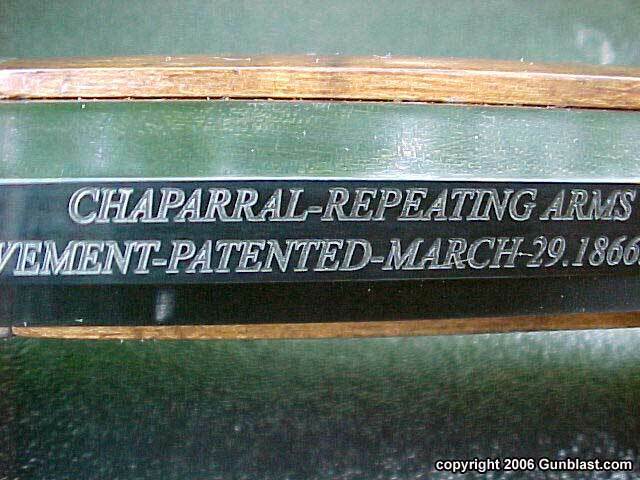 The function of the Chaparral ‘73 was flawless, but the handloader must be sure to keep the overall cartridge length within specs. 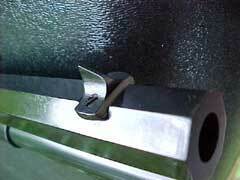 The gun ran smoothly throughout the tests. The .38-40 1873, properly loaded, would serve well as a rifle for whitetail deer or other similarly sized game, but I suspect that most will be purchased by Cowboy Action Shooters, or others who prefer a smooth-running, fast and fun levergun. 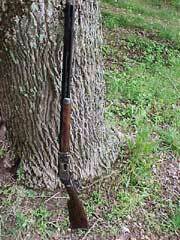 It is a dandy rifle, well-made, and assembled in America, near the place where the original Winchester ‘73 rifle was built. 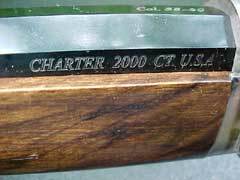 It will be available later chambered for other calibers and in different barrel lengths, including a round-barreled carbine. 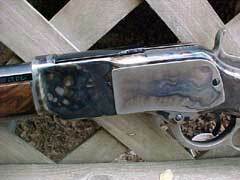 It is a fun gun to shoot, and is like shooting a piece of history. I like it. 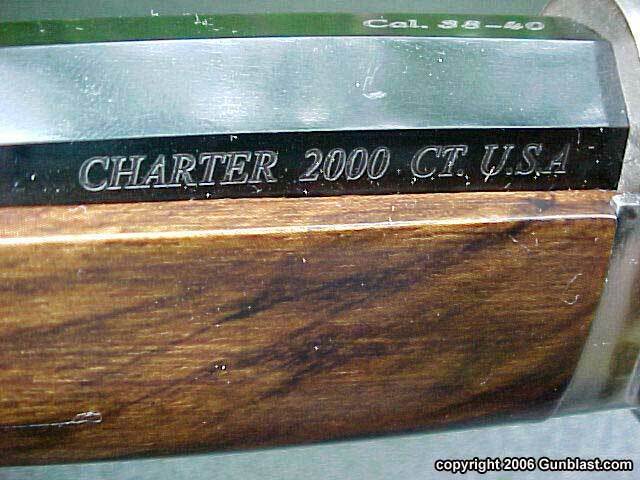 Check out the Chaparral rifles online at: http://www.chaparralfirearms.com. 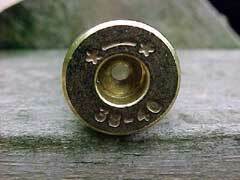 For high quality Starline cartridge cases, go online to: www.starlinebrass.com. NOTE: All load data posted on this web site are for educational purposes only. 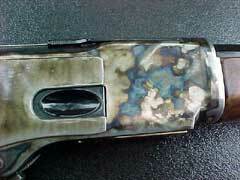 Neither the author nor GunBlast.com assume any responsibility for the use or misuse of this data. The data indicated were arrived at using specialized equipment under conditions not necessarily comparable to those encountered by the potential user of this data. Always use data from respected loading manuals and begin working up loads at least 10% below the loads indicated in the source manual. 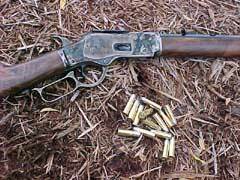 Chaparral’s Winchester 1873 Replica Lever Action Rifle. 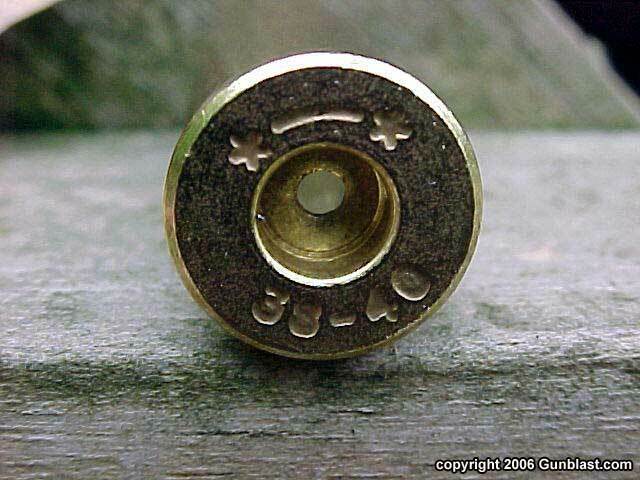 Starline makes excellent brass cartridge cases for the .38-40.